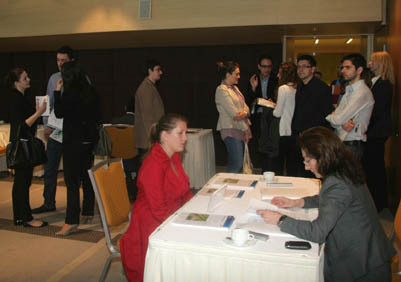 The International Hellenic University organized a highly successful Career Fair on Wednesday, 18th May 2011 at Nikopolis Hotel. Despite the current economic crisis and a tightening labour market, 25 companies & associations from different industries responded positively to the IHU’s invitation to take part. Students and alumni had the chance to meet company executives in person and discuss matters concerning the job market, to network, to seek career opportunities and to get experience of the interview process. 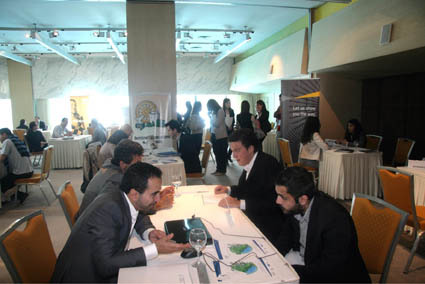 At the same event, the new IHU portal «Business Gateway» was presented for the first time to the participating companies, www.ihu.edu.gr/gateway. The portal aims to bridge the gap between academia and industry and add value for the companies that cooperate with the International Hellenic University. The “Business Gateway” provides a user-friendly platform that facilitates communication and collaboration between employers and the university’s staff, students and alumni. Companies have access to the IHU’s scientific expertise and can locate practical solutions fitting their business needs. They may also use the portal to promote company information and increase their exposure, post vacancies or queries for collaboration. On their part, students and alumni may have access to job openings and internships and to invaluable career tips on how to pursue a successful career in their field of interest.